All Posts Tagged With: "Lash Expert"
Get the lashes of your dreams – with no mascara or lash curler necessary. Who do celebrities turn to when they want stunning, seductive lashes? Renowned beauty expert Skyy Hadley, a master in the art of Xtreme Lashes. 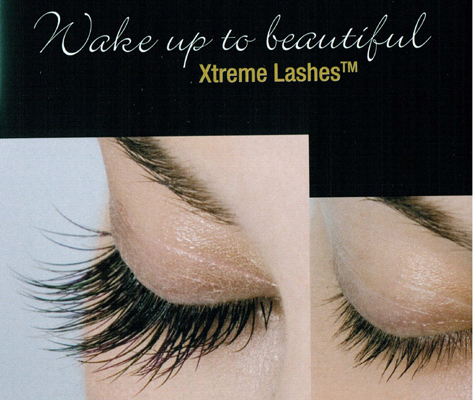 Xtreme Lashes are the gold standard of false lashes. Made of a lightweight, high-end silk and polyester blend that look and feel just like your own lashes, they are completely undetectable. During one to two-hour session, Skyy typically applies 80 or so lashes – one at a time – using a safe, non-irritating super-strength glue similar to the bonding agent used by plastic surgeons for wound closure. The process is completely painless and lasts up to two months. Touchups are needed every three weeks.